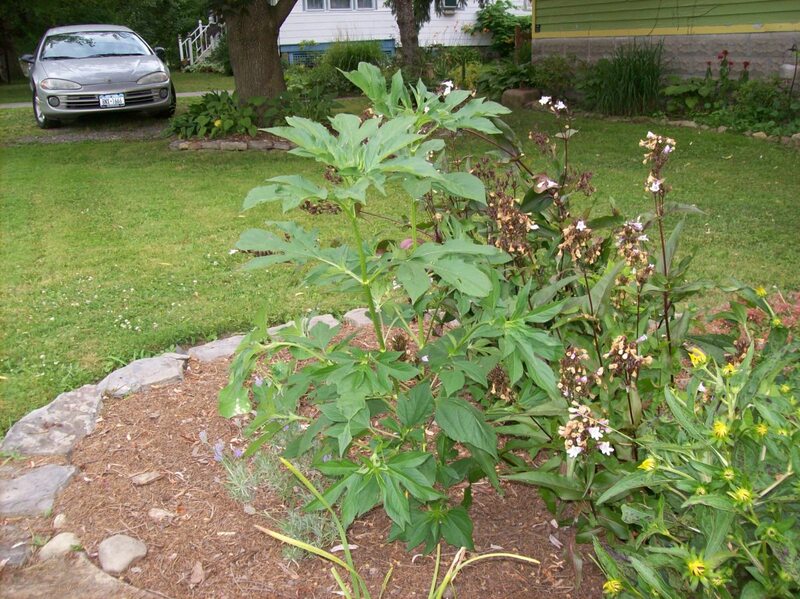 This North American annual from the sunflower family, is considered a noxious weed and an allergen. This is a guide about what is this plant? (giant ragweed). This thing just keeps getting bigger and bigger. It is now almost 5 feet tall. It looks like it will bloom or something, but then just keeps sending out more leaves in the place where it seems a bud ought to be forming. My husband said it looks like a pot plant, but I'm pretty sure it's not. We've all seen plenty of photos of those things. (And a few people have seen the real thing!) This was not in my garden last year. And I know I didn't plant it this year, it just showed up, so I decided to see what it would turn out to be. I'm sure when it blooms it will be easy to ID, but so far, nothing. The close-up photo is looking down on the place where it seems a bud should be. Photo was taken a couple weeks ago. Can't tell for sure from your picture but look up Giant hogweed. If it is this be careful the sap of leaves is dangerous. 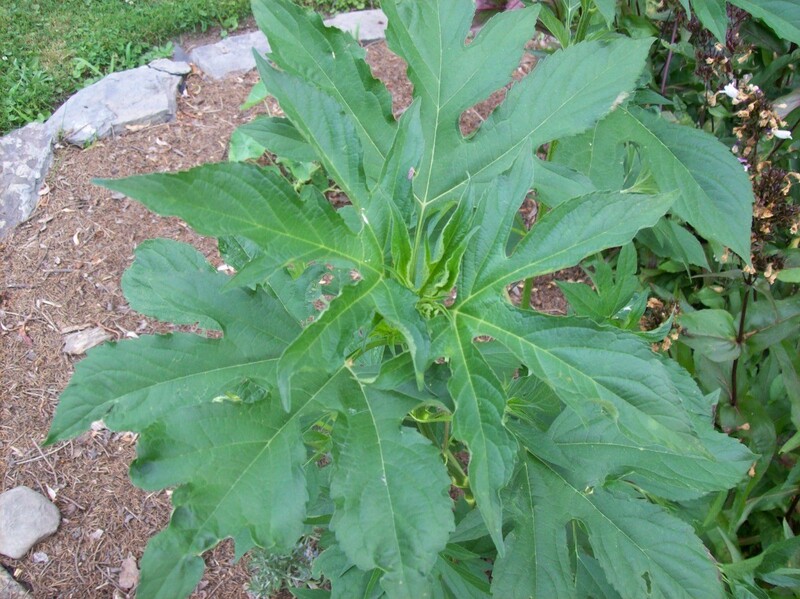 Not long ago, I asked the ThriftyFun community to help me identify this strange, rapidly-growing plant that mysteriously appeared in my perennial garden. I received replies ranging from wild lettuce to hog weed, but none were correct. Finally, a botany professor from SUNY Geneseo, NY, came up with the correct I.D. 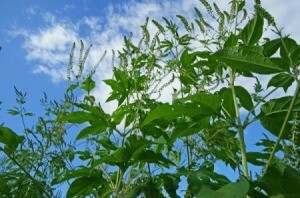 Giant ragweed! Ambrosia trifica, to be specific. As of clip time, it had reached 6 1/2 feet tall. He also told me I'd better get rid of it, post haste, before it had a chance to spread it's nasty pollen all over the neighborhood. Which I did. Thought you'd like to know the "rest of the story." What is This Garden Plant?